Our two Play with Mike Lawrence are fun books. They take you through a day of bridge in a regional tournament. You get more than bridge in these books. You get to meet some of the characters that exist in the bridge world. 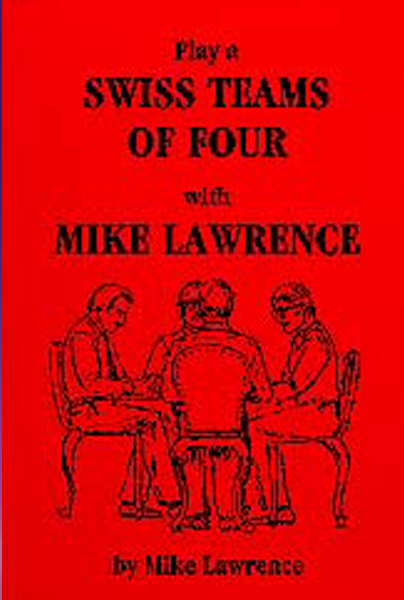 In the Play a Swiss Team of Four With Mike Lawrence, you are again partnered with Alex as you play a day of bridge against all kinds of players. The only difference is that you are playing in an IMP tournament which differs from matchpoints. Vive le difference!